I’m starting to get really interested in those colorful and yummy bento boxes. I’ve been reading a lot about them and seeing friends post their creatively crafted piece of art in a lunch box. I’m not sure if I’m ready to jump in the bento bandwagon though, but I’m willing to try anyway. I’m thinking of ways to make my boy, the younger of two kids, eat as much as he should. He’s still a picky eater at his age and who knows preparing a bento lunch box could just solve the problem and encourage him to eat more without leaving half of his (boring) lunch box untouched. But, first things first, where to get my bento box supply? I wish I can find a one-stop shop for bento boxes tools and accessories this weekend. For now, I’m feasting my eyes on websites that discuss quick tips and tricks on making bento lunch boxes for kids and grown up. I’ve bookmarked everything for future reference. 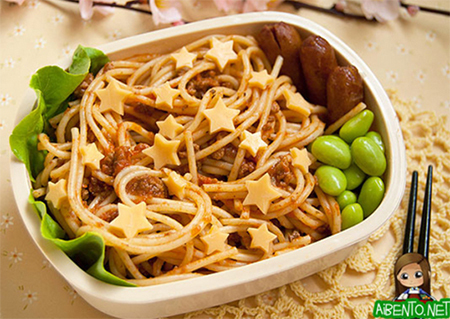 This entry was posted in Family and Kids, Food Preparation Tips and tagged bento box, bento box supply, bento boxes for adults, bento boxes for kids, bento quick tips and tricks, bentolunch box, cute bento boxes on August 4, 2013 by Yami.